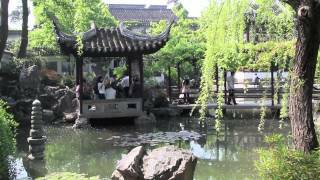 In particular, the SuZhou Industrial Park by JinJi Lake (first video). Split in half by Lake Tai, WuXi borders ChangZhou to the west and SuZhou to the east. 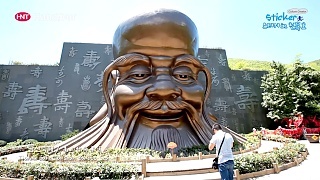 The YangTze (YangZi or Chang Jiang) River lies between the northern half of WuXi and TaiZhou, while the southern half of the city borders the province of ZheJiang. 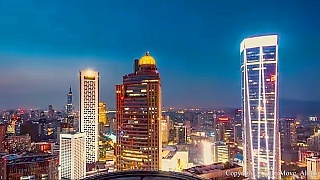 NanJing, 'south capital', is the capital city of JiangSu province, east China. 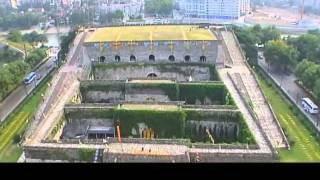 NanJing is one of the Four Great Ancient Capitals of China. 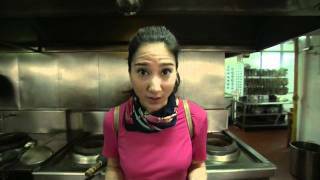 The others are Beijing (the current capital), LuoYang, and Chang'An (Xi'An). 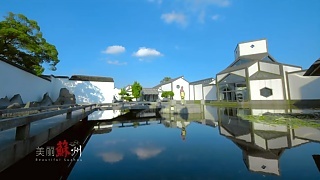 Based around a large lake with a perimeter of 15 kilometers. 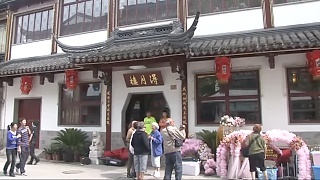 In JiangSu province. 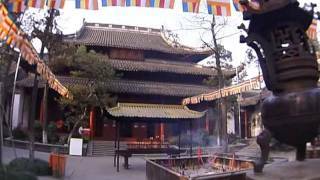 SuZhou lies in JiangSu province, just west from ShangHai Municipality, between the ebb of the YangTse river and TaiHu lake. 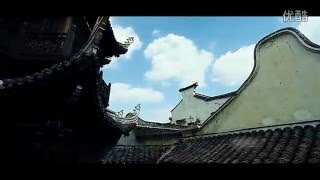 SuZhou has a history of over 2,500 years. 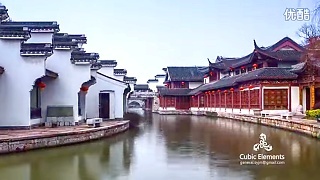 The city's canals, bridges, pagodas, and gardens have contributed to its standing as one of the top tourist attractions in China. 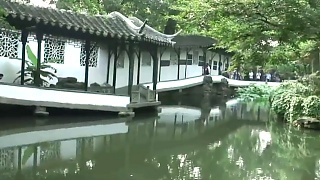 The 'classical gardens of SuZhou' were added to the UNESCO World Heritage Sites in 1997 and 2000. 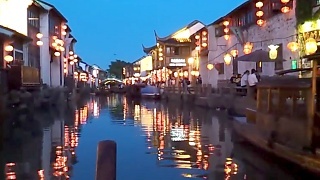 SuZhou is sometimes referred to as the 'Venice of the East'. 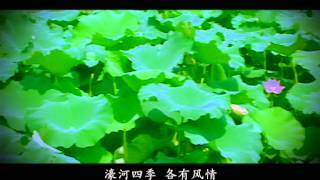 YuShui Hot Spring and NanShan Bamboo Sea. 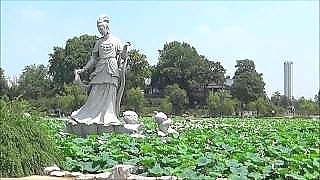 TianMu Lake (天目湖) lies about 8 kilometers south of the city of LiYang in JiangSu province. 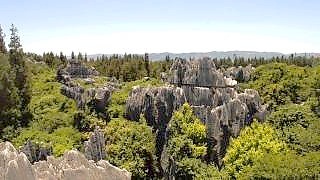 The lake and surroundings is a nature reserve and conservation area. 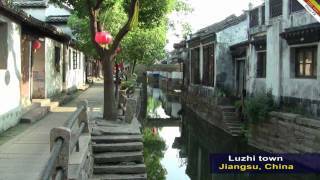 ZhouZhuang lies around 30 kilometers south-east from SuZhou in JiangSu province. 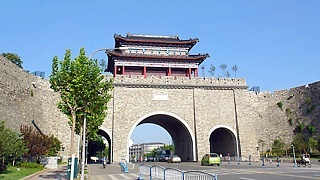 JiangSu province. About one hour from ShangHai. 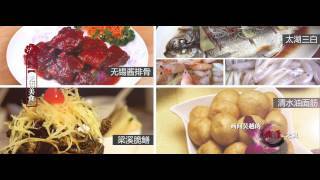 JiangSu lies along over one thousand kilometers of China's east coast. JiangSu borders ShanDong to the north, AnHui in the west, and both ZheJiang and ShangHai in the south. 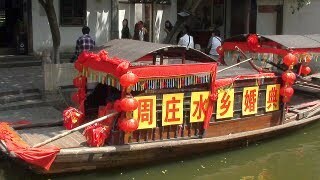 The YangTze River passes through its southern parts where one finds 'water towns' such as SuZhou. 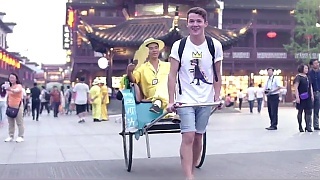 The provincial capital is NanJing. 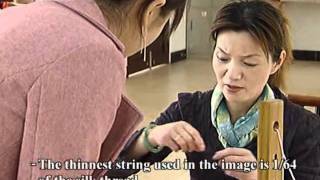 Excellent examples of Chinese garden arts. 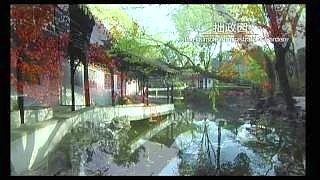 The first three films are of the famous Humble Administrator's Garden and the fourth shows the Surging Wave Pavilion. 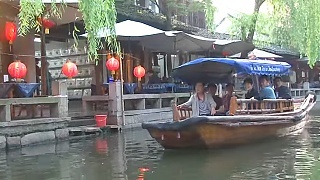 In JiangSu province. 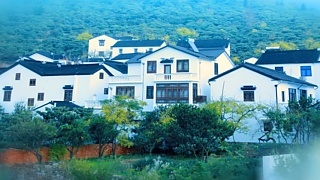 A large yet low and picturesque hill dotted with historical attractions. 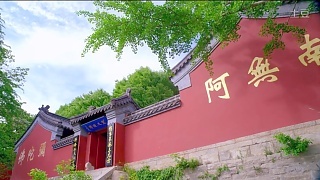 A famous Song Dynasty poet, Su Shi, once wrote: 'It would be a lifelong pity, if having visited Suzhou, one did not visit Tiger Hill.' 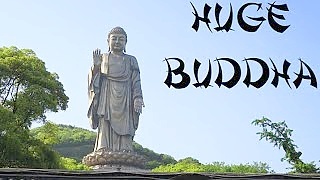 On the summit sits Tiger Hill Pagoda, which has become a symbol of SuZhou and has the distinction of being China's Leaning Tower (a la the one in Pisa, Italy). 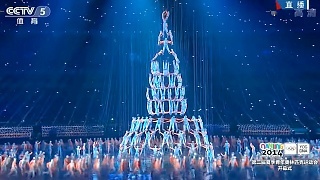 Built during the Northern Song dynasty (959-961), it is a 48 meter tall, seven-story octahedron, in the style of the timber pagodas constructed during the early Tang dynasty. A modern and stylish shopping zone. 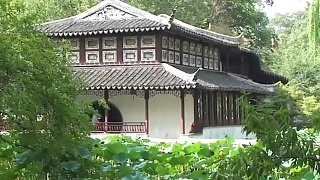 LuZhi, also known as PuLi 甫里, lies about 15km east of SuZhou. 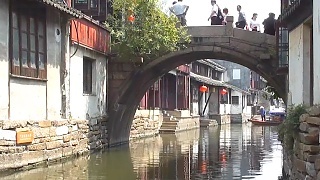 A town with scenery similar to ZhouZhuang, though smaller and quieter, with many varied ancient bridges and other attractions. 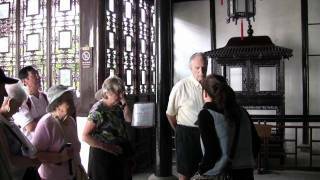 Explore the gardens and temples of YangZhou. 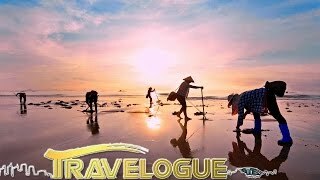 This English language film by CCTV's Travelogue explore YangZhou from the perspective of its key role during the Sui dynasty and the construction of the world's longest canal - the Grand Canal of China - which stretches from HangZhou to Beijing. 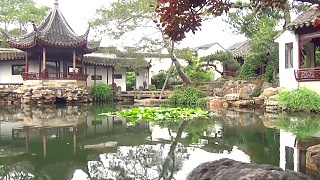 SuZhou, an exquisite water town, lies on the banks of the YangTse river and next to TaiHu lake. 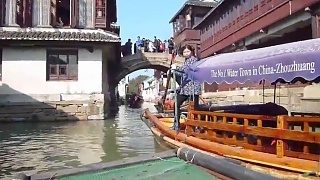 SuZhou is 45 minutes from Shanghai by train. 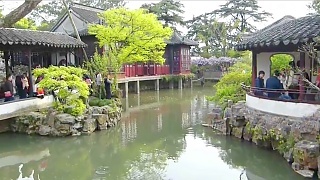 This film includes the classical gardens and the SuZhou Art Museum. 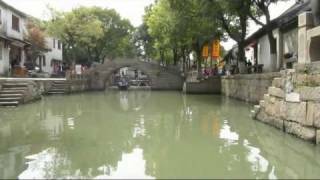 TongLi is one of several towns on the outskirts of Suzhou that are based around water - canals and lakes, islands and bridges. 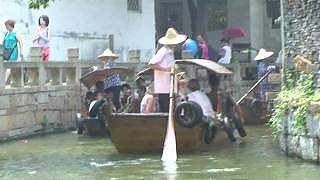 Located on the eastern shore of Taihu Lake, just 18 kilometers (11 miles) from Suzhou City, Tongli is 63 square kilometers (24 square miles) in area and has a population of about 35,000. 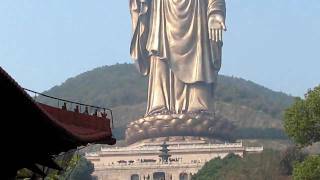 The Giant Buddha suddenly comes into view ... 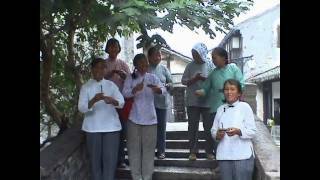 The second video takes a look around the temple and the third shows the fountains. 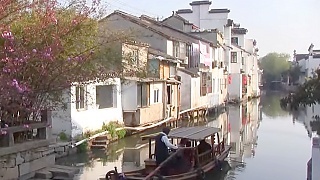 Possibly the oldest canal-based 'water town' in China. 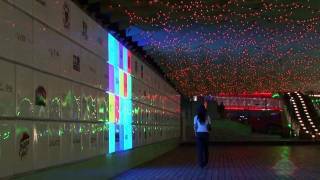 A popular tourist destination, so it is best to visit on a weekday. 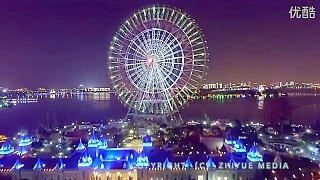 It is 60 kilometers from ShangHai.